Whew! I think I got everything! Busy weekend. Post on the wall if you see anything else to do this weekend. Have a great one! Go here for coupon for free admission for Friday only. The Expo is also Saturday, March 31, 11 am - 7 pm and Sunday, April 1, 12 pm - 5 pm with $6 admission charged. $1 off coupon for Saturday and BOGO admission coupon for Sunday are found here. See their Facebook page for more info. The Zoo and Museum are transformed into a festival-like environment complete with games, enflatable slides and bouncy houses, horse trail rides, giraffe encounter, live animal presentations, zookeeper talks, a variety of food, drinks and snacks, live entertainment and much more. 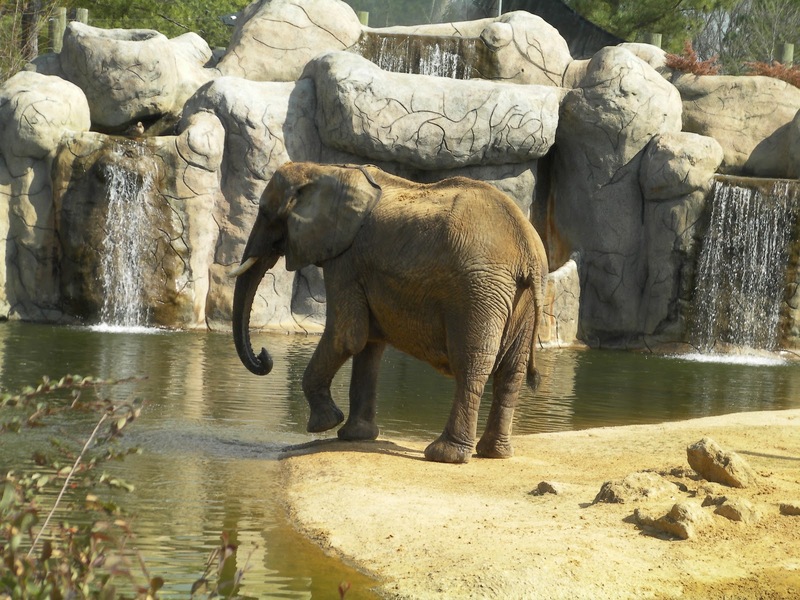 Zoo Weekend is an annual fundraiser for the Zoo and Museum. Funds from this event go directly into the general fund allowing the Zoo to continue to grow and expand. Future projects coming aboard soon include the Zoofari Skylift, Parakeet Cove, new Alligator exhibit, Stingray Bay and Butterfly House. Celebrate the Resurrection of Christ with the whole family at this fun and uplifting community event. Four different age-appropriate Egg Hunts (toddler through 5th grade), inflatibles, games, crafts, and a puppet show. Free and open to the public; food will be for sale. Activities open 9:30-11:00 and 11:30-12:30 with the puppet show from 11:00-11:30. 1 pm Easter Egg Hunt-Registration begins at 12:30 at main entrance. Hunt begins promptly at 1. Find 5 eggs and return to registration for candy. Ages 2-10. 7 to 10 pm - Earth Hour at Hampstead Downtown Farm. Come celebrate energy conservation at the farm with live music, food, and drinks. We'll be watching the city turn off its lights at 8:30 pm and setting off Chinese lanterns to commemorate the moment. $5 suggested donation helps support the Institute. What is Earth Hour? Personalize a pail for Easter. With purchase of pail. Ages 3 and up. While supplies last. Free docent-led tours every Sunday at 1 pm. 1 pm Easter Egg Hunt-Registration begins at 12:30 at main entrance. Find 5 eggs and return to registration for candy. Ages 2-10. Thanks to the help of a bunch of you on the Facebook page, I have compiled this list of restaurants that have special deals for kid's meals. 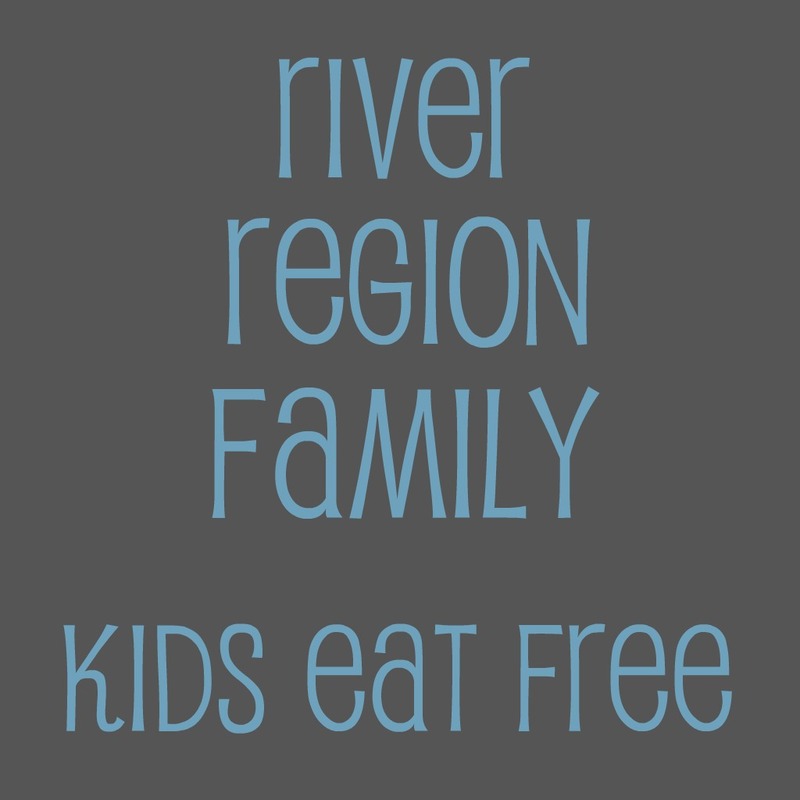 If you have any others to add, please comment or send me a message on the River Region Family Facebook page. Thanks! 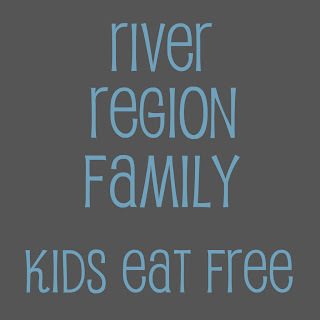 *River Region Family Favorites are starred! One Free Kid's meal with a $10 order every day. Thursdays from 4-8pm. Up to 6 Kids (12 and under) eat free with a adult purchase of $5 or more. Sundays-Free personal cheese pizza for children 12 and under. No Lowe's Build and Grow this week. I would tell you to sign up for the next event (March 24-Art Station) but I can't figure out how to register for it on their new website because it doesn't show up right now. But check out April 14th's build. It's Plinko! No Home Depot, either. Next one of those is April 7th. Not even a Michael's Make It Take It this weekend. Might want to put on your green and hit a couple of yard sales. Then grab some free fries at lunch. On Sunday from 1-2 pm Montgomery Museum Of Fine Arts offers Free docent-led tours. THEN from 2-4 pm take the entire family to Spring Fling. Marvel at the vibrant artwork of Loïs Mailou Jones and the exhibition Birds of the Enlightenment. Then add your unique hand-made bird to the Museum “tree” and create patterned works of art in the studios. Catch a little Jazz while you're there! Wednesday March 21 is Tales for Tots at Montgomery Museum Of Fine Arts. Each month this FREE program for young children and their families connects special stories with art in the Museum. Ages 2 - 6, with an adult partner. Looks like the weather is going to be great! Have a great weekend!